Opening in 2019, the new Jim Pattison Children’s Hospital will offer state-of-the-art equipment and facilities for children, mothers and families from across our province. Centrally located on the University of Saskatchewan campus in Saskatoon, our new children’s hospital will offer neonatal intensive care, pediatric intensive care, general pediatrics, pediatric emergency and ambulatory services. Maternal services will include labour and delivery, antepartum and postpartum care. The 176-bed facility will provide the highest quality of care and put Saskatchewan at the forefront of research and innovation. The Jim Pattison Children’s Hospital Foundation and its many partners began a quest for a specialized facility tailored to caring for the unique needs of children and families over a decade ago. Thanks to the foresight and years of hard work, we are now building the province’s first children’s and maternal hospital. 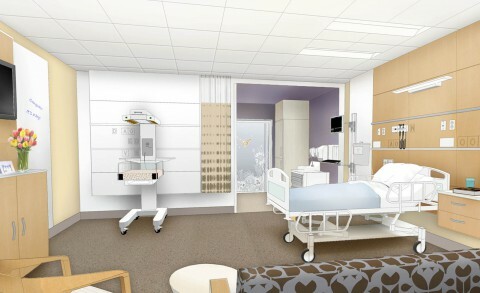 The ground floor will house Saskatchewan’s first dedicated pediatric surgery suites, with integrated induction rooms. This will allow parents to be with their child while anesthesia is administered. The ground floor will also house the pediatric emergency department with trauma spaces. 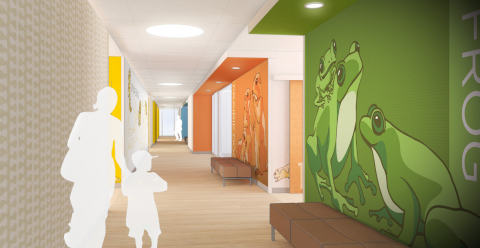 The new Pediatric Emergency will be a calming space where children will feel secure and cared for while receiving emergency medical attention. It will have capacity to treat over 5,000 more visits than today. 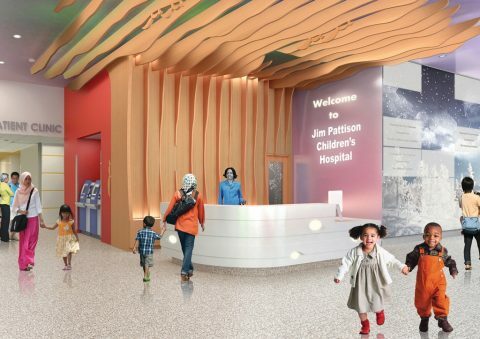 Young patients who have been referred to a specialist at Jim Pattison Children’s Hospital will come to the main floor Pediatric Outpatient Clinic, which will include general pediatrics, heart, cancer, speech and language, hearing and psychiatry treatment. 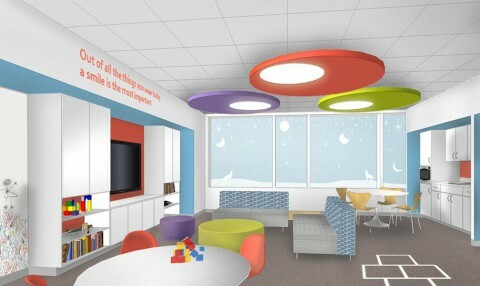 The main floor will also be home to Canada’s first Child Life Zone. With family-centred care in mind, a short-term child-minding space will be available for siblings so that parents can focus on their child’s medical appointment. A theatre for patients will provide a welcome distraction with movies and events. 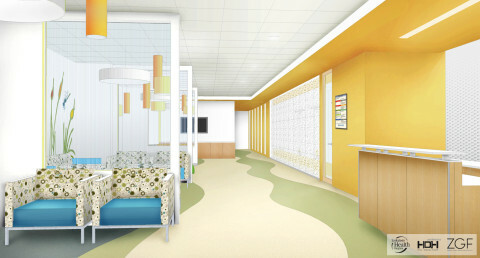 This floor is dedicated to pediatric inpatient care, with areas designated for Acute Care Pediatrics, a unique Observation area, and a special zone for the Pediatric Intensive Care Unit (PICU), which will be the only one of its kind in Saskatchewan. 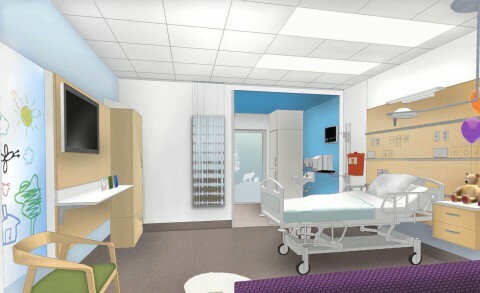 Additional features include: special family spaces, an outdoor patient play area, a school room, and access to cutting-edge testing, as well as our province’s first Pediatric Sleep Lab, which will mean children no longer need to travel out of province for sleep studies. 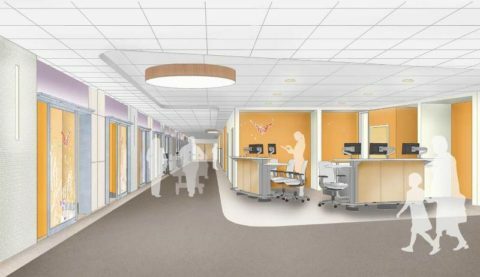 For the first time, maternal care will be on one floor, allowing moms-to-be to labour, give birth and stay with their new baby and supportive partner in the same private room. This floor will feature three dedicated maternal operating rooms and the Maternal Outpatient Clinic with fetal assessment. 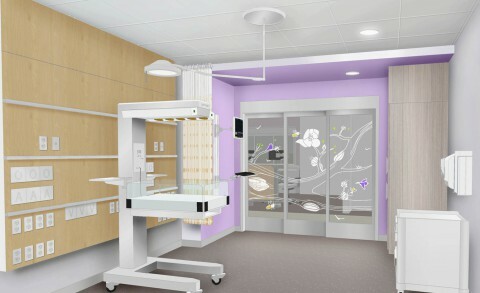 The Neonatal Intensive Care Unit (NICU) space will be very different from what exists today. Families and their newborns currently share space side by side in open bays. 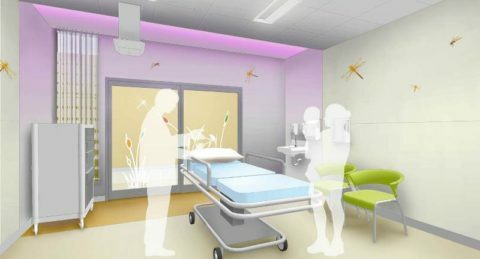 In the new children’s hospital, each baby and family will have their own private room. Dedicated family spaces and sleep areas will allow families to gather or rest away from baby’s room while remaining close by. Added sound protection to minimize noise on this floor will help our mothers and tiniest patients get the sleep they need. Learn more about the special spaces inside our hospital!